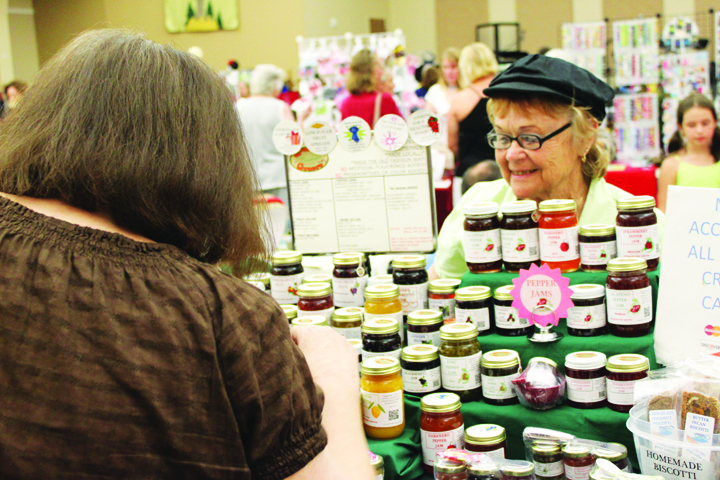 For the second year, vendors will sell everything from handmade gifts to home decor on Saturday, July 26 at the Christmas in July Bazaar, which will be held at Grace United Methodist Church at FishHawk. The bazaar will take place from 9:30 a.m.-2 p.m. at the church, which is located at 5708 Lithia Pinecrest Rd. in Lithia. Items for sale will include local honey, jewelry, crosses, birdhouses, kitchen items, stained glass, baked goods, paper crafts, beauty items and candles. Organizers are also still seeking vendors for the bazaar. The fee for a 6 ft. by 6 ft. space is $25. The deadline for reserving a booth is Tuesday, July 15, and space is limited. For more information and an application, contact event organizer Billie Wallis at 375-1617 or bswallis6@gmail.com. Most of the vendors will be inside the air-conditioned church, so guests can shop in comfort. There is no entrance fee. The bazaar is a fundraiser for Grace United Methodist Women (UMW). Nationally, United Methodist Women is the largest denominational faith organization for women whose mission is fostering spiritual growth, developing leaders and advocating for justice. All women are invited to attend Grace UMW meetings, which are held once a month at the church. The meetings start at noon, and a free lunch is served. Grace United Methodist offers a friendly, welcoming atmosphere and uplifting music. The church places a special emphasis on children and offers educational and fun activities for children and youth. Activities for adults range from small group studies to community outreach. Grace has traditional worship services at 9:30 a.m. and contemporary services at 11 a.m. every Sunday. Casual dress is welcome. To learn more, visit www.mygraceumc.com or call 661-8858.